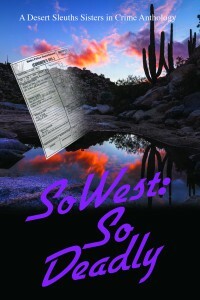 Book 8 of the Sisters in Crime Desert Sleuths Anthology, So West: Ladykillers, will be unveiled at the WriteNow! 2019 Conference, September 27-28, 2019. Arizona desert. Under cover of darkness, evil flourishes. Not afraid of the dark? You will be. 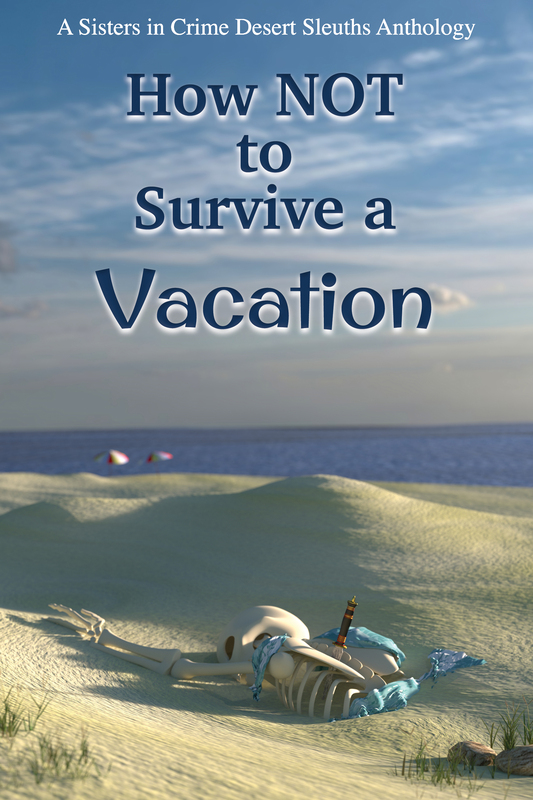 Desert Sleuths offer 20 tales in the latest edition of their award-winning anthology series. Grab a flashlight. Pull the covers over your head. 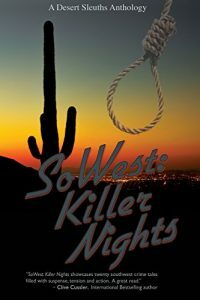 SoWest: Killer Nights will keep you awake until sunrise. Authors: Shannon Baker, Mary Ball, Rebecca Boschee, Susan Budavari, Bill Butler, Meg E. Dobson, Wendy Fallon, Suzanne Flaig, Connie Flynn, Deborah J Ledford, Sharon Lynn, Merle McCann, Kathy McIntosh, Dana McNeely, Timothy W. Moore, LaDonna Ockinga, R K Olson, Judy Starbuck, Kari Wainwright, JoAnne Zeterberg. Murder. Revenge. Blackmail. Greed. Envy. Corruption. From the glamorous soirées of power brokers to gritty, dark alleys to snowy mountain hideaways—the twists and turns keep coming. 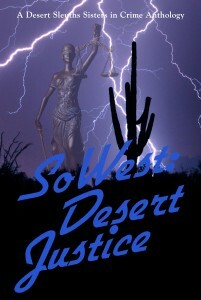 The Sisters in Crime Desert Sleuths Chapter presents 22 whip-smart stories in their award-winning anthologies series. Authors: Isabella Maldonado, Nancy Hart Newcomer, Susan Budavari, Kate Joy Steele, Connie Flynn, M. Evonne Dobson, Teresa Waggoner, Bill Butler, Denise Todd, Merle McCann, Suzanne Flaig, Kaye Owen, Laurie Fagen, Yvonne M. Corrigan-Carr, Katherine Atwell Herbert, Robert Dukelow, Mary Ball, Kris Neri, Susan Cummins Miller, Lori Hines, Jacinda J. Power, Patricia Bonn. Lead Editor: Yvonne M. Corrigan-Carr. Editors: Susan Budavari, Susan Cummins Miller, Merle McCann, Meg E Dobson, Dana King-Esquer. Editorial Advisor and Formatter: Deborah J Ledford. Consulting Editor: Donna T. Hanna. Ever been in the wrong place, at the wrong time? Feel safe where you are now? In this volume from the Sisters in Crime Desert Sleuths Chapter, 20 authors show why you need to keep your guard up. Be ready to react. 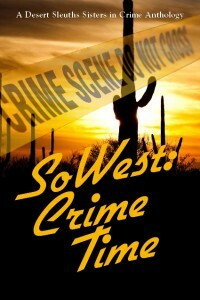 In the desert, in the mountains, in the Valley towns of Arizona, when you least expect it…It’s CRIME TIME. Authors: Shannon Baker, Susan Budavari, Yvonne M. Corrigan-Carr, Laurie Fagen, Katherine Atwell Herbert, Machelle Langseth, Isabella Maldonado, Isabella Maldonado, Merle McCann, Margaret Morse, Kris Neri, Nancy Hart Newcomer, Toni Niesen, R K Olson, Cathy Ann Rogers, Martin Roselius, Amy Schuster, Jackie Sereno, Louise M. Signorelli, Kate Joy Steele, Kari Wainwright. Lead Editor: Deborah J Ledford. Evil abounds…Frustrations mount…Calls for revenge cry out! In this volume, Desert Sleuths Sisters in Crime offers 20 tales you won’t forget. Victims fight back, police pursue bad guys, scores are evened…but when all else fails, get a taste for how the desert claims its own! Authors: Shannon Baker, Susan Budavari, Laurie Fagen, Suzanne Flaig, Arthur Kerns, Deborah J Ledford, Elizabeth R. Marshall, Merle McCann, Margaret Morse, Kris Neri, Nancy Hart Newcomer, Toni Niesen, Virginia Nosky, R K Olson, Cathy Ann Rogers, Martin Roselius, Amy Schuster, Judy Starbuck, Judith Starkston, Kate Joy Steele. 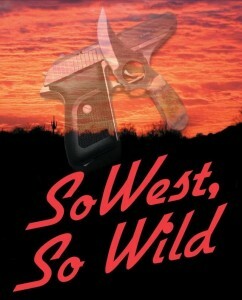 Murder and mayhem western style. The Desert Sleuths Chapter of Sisters in Crime offers 20 exciting tales. Everything from old-time shootouts to modern day forensics, noir to comedy can be found in this compelling anthology. Walk on the wild side of the Southwest, as Arizona celebrates its centennial year. Hang up your spurs, kick back and enjoy! Authors: JoAnne Zeterberg, Howard “Doc” Carron, Margaret Morse, Virginia Nosky, Kris Neri, Isabella Maldonado, Susan Budavari, Barbara Goodson, Lori Hines, Martin Roselius, CR Bolinski, Amy Schuster, Toni Niesen, Carrie Sears Bell, Judy Starbuck, Nancy Newcomer, Merle McCann, Leslie Kohler, Deborah J Ledford, Nancy McCurry. From Hawaii to Bar Harbor, from Alaskan cruise ships to Arizona ghost towns, this showcase of 18 original short stories from the talented Sisters in Crime Desert Sleuths Chapter ranges from humorous to noir, from suspense to cozies. Murder, revenge, passion, treachery and greed abound in this exceptional anthology–the perfect traveler’s guide to all things criminal and mysterious. Authors: JoAnne Zeterberg, R K Olson, Merle McCann, Diana Manley, Susan Budavari, Marty Roselius, Chantelle Aimée Osman, Kris Neri, Barbara Goodson, Judy Starbuck, Connie Flynn, Lori Hines, Deborah J Ledford, Suzanne Flaig, Howard Carron, Robin Merrill, Nancy Nielson Redd, Margaret Morse. Editors: Chantelle Aimée Osman, Deborah J Ledford, Suzanne Flaig, Merle McCann. The perfect gift! Start with a four-legged detective who fancies pasta, add a ghost who delivers a lost fortune, and a godfather who’ll stop at nothing to protect his family, blend in tales of homicide, greed, treachery and vengeance for this holiday anthology of 17 original short stories by members of the Sisters in Crime Desert Sleuths Chapter.